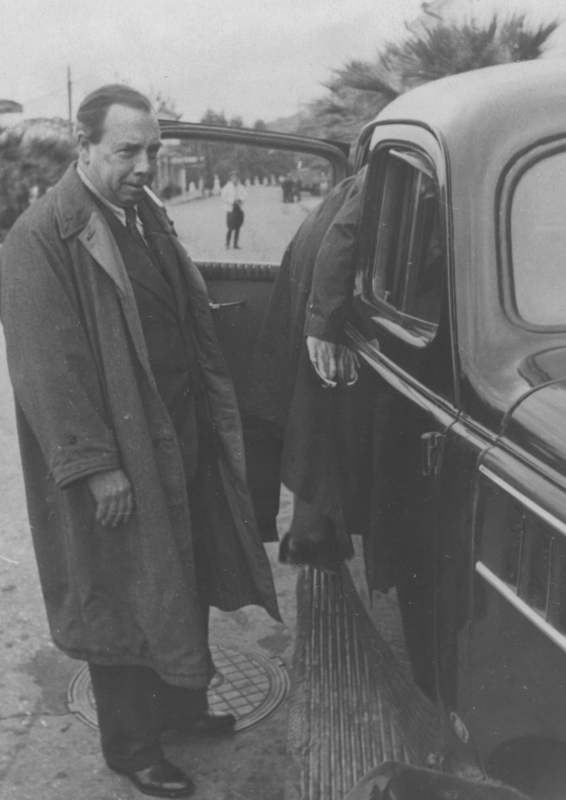 In his Postscript of 6 October 1940, J.B. Priestley reflected on hotels. Many hotels and other establishments in beautiful parts of Britain had no room for those on urgent war work or homeless, traumatised Blitz survivors, who might benefit from a visit to the country or the seaside. They were full of the sort of people who had nothing particular to do. Since reading this Postscript, I’ve been on the look-out for stories or accounts about people staying in these places to see how they match up to Priestley’s discoveries. Agatha Christie’s 1941 thriller N or M is set in a boarding house during the era of the Postscripts, featuring characters illustrating Priestley’s comments. Tommy and Tuppence, an ebullient couple who appear in several of her thrillers, go undercover to “Sans Souci” to track down a Nazi spy. The boarders include a mother and child escaping London, a German refugee, an idle hypochondriac with no interests in life except his own health, his put-upon wife, a fretful spinster … I usually find T & T rather annoying – the stories in which they feature are not my favourite Christies – but in this one the 1940 atmosphere, the paranoia and sense of menace over-ride this. Here’s a new Second World War historical project from our neighbours over in the West Yorkshire Archives Service (WYAS) which should interest anyone who enjoyed Priestley’s Finest Hour. Among the amazing collections held by WYAS is the West Riding Air Raid Precautions (ARP) log for 1941-1944. ARP services were set up by councils to protect the public from air attack. Over the next four years, the twitter account WR_ARP will be sharing incidents from the log as they happened, along with photos, films and other documents relating to the work of ARP. You can find out more about the West Riding ARP and the project in this post from the WYAS Catablogue (another archive using Coraline I notice – this WordPress theme works so well for visual collections! Really shows off strong images). First in an occasional series in which I compare J.B. Priestley’s wartime Postscript broadcasts to other regular WW2 publications, an extension of the Priestley’s Finest Hour project. I recently catalogued Vera Brittain’s Letter to peace-lovers. As an absolutist pacifist of the Peace Pledge Union, Brittain had a different view of the War from Priestley. The audiences for the two series would have experienced them in different ways: text versus audio (though Priestley’s broadcasts were also printed). Brittain’s audience had to subscribe; Priestley’s much larger audience had to expend less effort to hear him, and may have heard him by default – the radio happened to be on, or someone else chose to listen. Actually, though, in a skim through Brittain’s Letters, I noticed the similarities between her pieces and Priestley’s rather than the differences. The broadcasts and letters start in similar ways, with a letter, incident, idea leading to deeper thought about the War. Both use everyday detail tellingly. For example, this by Brittain about Hyde Park in August 1940 would have made an ideal Postscript: “I could not help wishing that Herr Hitler and Dr Goebbels could be transported here to see the vast London population which they have so often described as panic-stricken. So accustomed has that imperturbable populace now become to military preparations of the most sinister type, that they have ceased to think of their meaning or even to notice them – except as props for their backs or convenient sandpits for their toddlers”. Both praise British stoicism and courage, and call for the energy put into war to be put into building a better world. I ended up thinking about what the authors had in common. Both of course were talented professional communicators, though clearly sincere in what they said. The most important similarity is that both had experienced the horror of the First World War. Priestley spent five years on the Western Front and lost all his boyhood friends. He alluded to these things in his political writings of the 1930s and in the Postscripts, though he did not write about them in detail until Margin Released in 1962. Brittain, as she described in the unforgettable Testament of Youth, worked as a VAD at the Front. She lost her fiancee, her brother, and many friends. Both knew what war meant. Their life-changing experiences underlie both the Letters and the Postscripts. 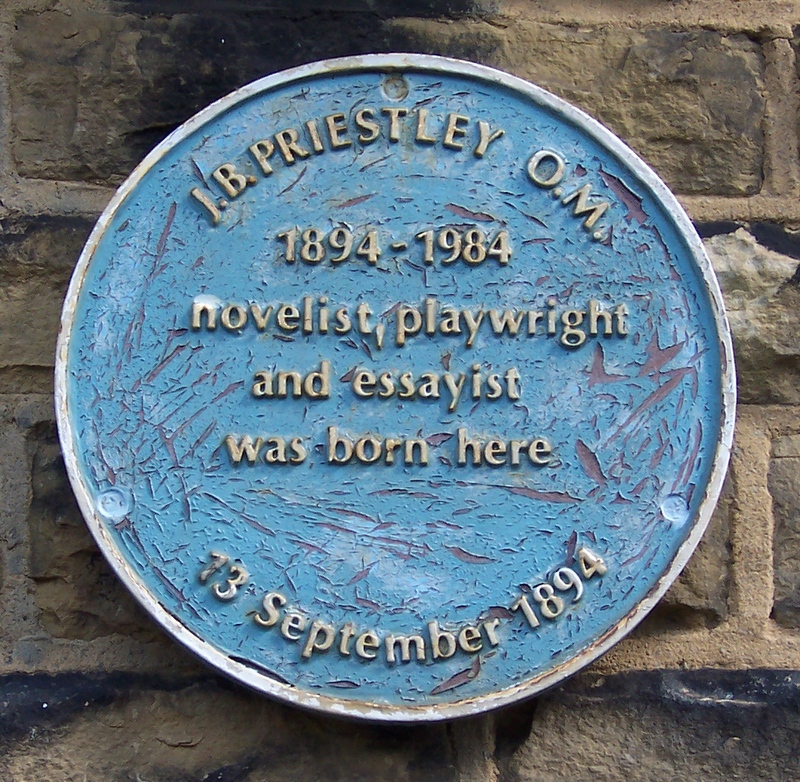 Posted in Peace, Politics, Priestley's Finest Hour, Priestley, J.B. Writing this series has been a remarkable experience. I thought I knew the Postscripts well, but exploring them in this way has revealed so much more, which I have been delighted to share with readers. Working to the weekly deadline, which clashed with other deadlines and commitments, has given me greater respect for Priestley’s achievement in creating such simple, sincere, well-pitched pieces under pressure. I feel as if I have experienced events alongside Priestley and the British people and understand better how they unfolded. So much happened in such a short time. My immersion in 1940 was greatly helped by other archives and museums sharing their collections in real time via social media e.g. the Imperial War Museum Duxford and the National Archives War Cabinet Papers. The series has been viewed by several hundred people already, and will be maintained online indefinitely for others to enjoy. Please comment, or contact me directly, if you have any feedback. I will continue adding to the series: I have several pieces in mind already. Want to know more? I’ve sent a more detailed, scholarly version of this post to the J.B. Priestley Society Journal. I also write about the project for a professional audience on my personal blog, Collections in a Cold Climate. “This is my last Sunday postscript for some time, perhaps the last I shall ever do. The decision was mine and was in no way forced upon me by the BBC “. In this final Postscript, Priestley said goodbye to his listeners and gave his reasons for ending the series. It is often stated that the Prime Minister, Winston Churchill, had Priestley “taken off the air”, for using the Postscripts to discuss building a better world post-war. Firstly, he didn’t want listeners to become bored of hearing him. Secondly: the “situation of the country and also the mood of the country” had changed. Priestley had started his Postscripts after Dunkirk and had made them during the strange heightened atmosphere of the Battle of Britain summer and autumn, followed by the start of the Blitz. Britain had been in grave danger of invasion, and Priestley had expressed and helped inspire the people’s magnificent response to that threat. Now the immediate danger was over, the War was entering a different phase, less compelling to him as a broadcaster. Maybe other speakers could do better with this new phase? Priestley gave a second series of Postscripts in 1941. This series was brought to an end by the intervention of Duff Cooper, the Minister of Information. The full story of the roles of the BBC, Ministry of Information, government and journalists, has been researched by academic Sian H. Nicholas: her findings are probably most accessible in The Echo of War (1996). I can also highly recommend a pamphlet by Priestley’s stepson, Nicolas Hawkes, “The story of J.B. Priestley’s Postscripts”, published by and available from the J.B. Priestley Society. Apologies if they didn’t like his accent, “if they wearied of me talking about myself, though sometimes the most honest way of discussing general topics is to be personal about them; if they became impatient because I couldn’t … convert a ten minutes postscript into a six hour … lecture”, or if he hadn’t replied to their letters.